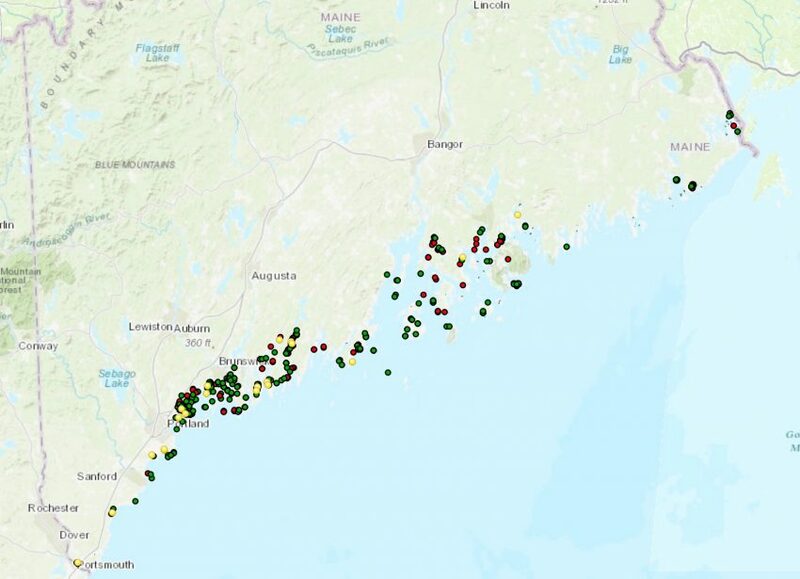 Aquaculture farm sites along Maine’s coast are permitted through various state and federal agencies led by the Maine Department of Marine Resources (MEDMR) This interactive map shows the current (as of 4/20/15) shellfish, finfish and sea vegetable lease sites (including LPA’s) in Maine. 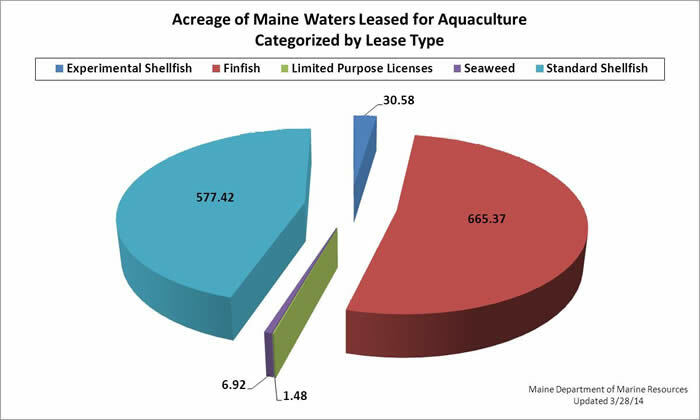 As of March 28, 2014 there are 3 seaweed leases, totaling 6.92 acres, 74 molluscan shellfish leases, totaling 608 acres, and 26 finfish leases, totaling 665 acres, located in marine and estuarine waters along the Maine coast. In addition, there are over 450 Limited Purpose Aquaculture Licenses or LPAs, totaling approximately 4.5 acres. LPAs are annual licenses issued for a maximum area of 400 square feet. Detailed information on specific farms can be found at the MEDMR website by clicking here. Maine DMR maintains a map with current lease sites and mapping tools to assist in identifying optimal sites. Click on the map below to use this interactive tool.